When 20-year-old police recruit Kiera Hudson is posted to the remote town of The Ragged Cove, her life is changed forever. Investigating a series of horrific murders, grave desecrations, and missing persons, with her unique ability of "seeing," Kiera soon realizes her life is in danger. But when Kiera falls in love with police officer Luke Bishop, not only is her mind and her heart opened to a terrifying new world, she comes to suspect that Luke might be involved in the killings. 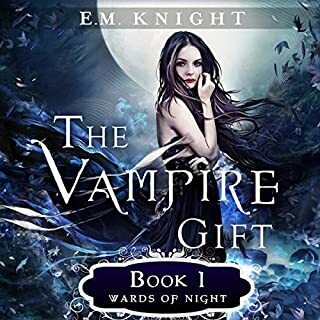 In a race against time to unearth the truth, Kiera must discover the identity of who or what is behind the gruesome deaths on the "Vampire Shift". When I started this, I was relieved that it wasn't one of those vampire stories where the author comes up with ridiculous names of clans and all that. Sadly as it progressed, that's exactly what it turned into. I had to laugh at times with how the narrator imitated screams and an old ladies voice. This book is a joke. I think they forgot to edit chapter 20! 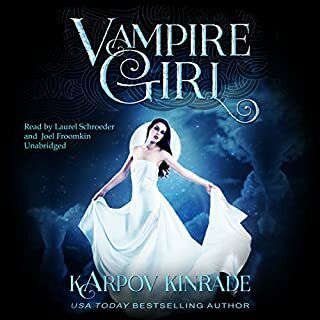 Where does Vampire Shift rank among all the audiobooks you’ve listened to so far? I really enjoyed this all apart from chapter 20! I think that they forgot to edit this chapter! The narrator kept repeating the line, pausing and I think she even burped twice!! It was so bad I checked my phone to make sure I hadn't somehow put my phone on repeat! But the rest of it was fine! Lol! 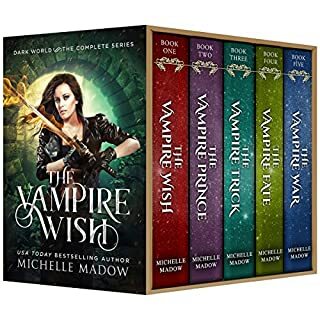 What other book might you compare Vampire Shift to and why? Maybe the Anna Strong series! Would you be willing to try another one of Keely Beresford’s performances? I do hope more of this series comes out on audio! did not like the story teller, a little hard to get into. I was hoping for someone to read a bit more powerful, not much emotion in her voice. the story is quite good and I hate to see the narration take away from the story. The plot is great I love the twists and turns. But her whispery voice does not give enough differentiation to the characters. Who all seem very laid back because of her narration. this book would be a great read 4 star. I love a classic scary vampire story. I love a classic vampire love story. This has both! A very cool new concept, fast paced and well written and narrated. I highly recommend! I liked the book but hated the narrator. I won't purchase any more books with this narrator. Nothing too complicated as far as story. I am not sure if it was the narrator that threw me since it is slower than usual. I felt bored at times and slightly annoyed. I get maybe they were trying for that noir type feel similar to an old time radio show. Maybe if it had sound effects or background music to fill the dead space it would have worked better. I increased the speed to 1.15 and that helped the cadence(I didn'tthink to do so until the end). I enjoyed the Sherlock Holmes/mentalist type of detective skills- powers of observation. I liked the main character but I didn't really feel connected to her. Also her romance was a bit lack luster...an obvious and easy choice. Not a lot of build up. I also found myself not caring about other characters and slightly annoyed by the old lady-again it could be the narration and vocal tone given. I wish as the reader, as you follow along with the main character for the plot, you don't figure it out before they do. I want to be with the main character the whole time. It undid any credit given to her as a detective and made her seem less credible. Her powers of observation not so cool after all, she can point out the pieces of the puzzle but she can't put it together. Over all there is a lot of potential but too much got in the way between narration and lack of character development. Maybe if I read the book the review would be different. I do not believe I will purchase the next book at this point. I bought this as I liked the sound of the book, however the narrator is absolutely awful! Her voice is utterly monotone, and each character sounds completely the same which can make it difficult to follow whose who at times. Her narration was so bad in fact that I gave up on the audio book and bought the Kindle version instead. Real shame as the actual story is good, just badly let down by the choice of narrator. 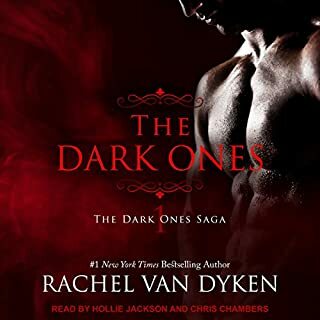 This is the first audio book O have listened too and have to say I thoroughly enjoyed this. Having read the book numerous times didn't think this book would get any better. Keeley Beresford does an amazing job of narrating this book. Would you listen to Vampire Shift again? Why? 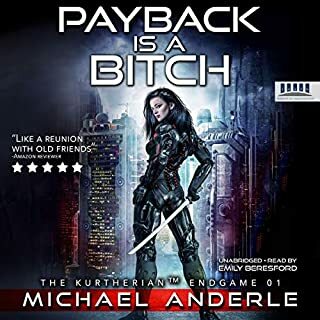 The end was no surprise as the author keep dropping clues throughout the story , but there is enough of a cliff hanger to make you want to read the next book. What aspect of Keely Beresford’s performance might you have changed? 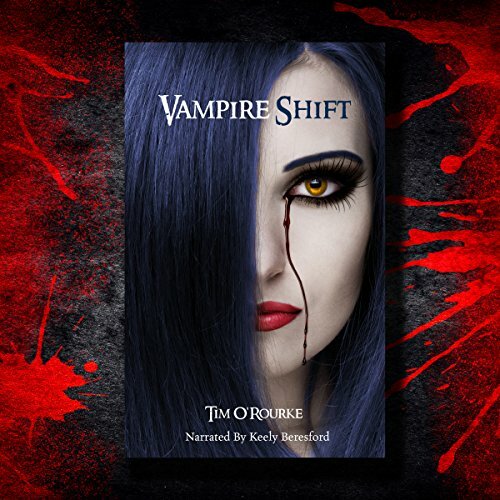 Would you consider the audio edition of Vampire Shift to be better than the print version? Would you recommend Vampire Shift to your friends? Why or why not? Yeah, I would recommend it to people who like vampires. It was quite scary in places, and I think vampire fans would enjoy the instensity of it. What does Keely Beresford bring to the story that you wouldn’t experience if you had only read the book? Yes, but I can't tell without ruining the plot! Overall, I thought it was a good story, with moments that were super gripping. I would like to hear what happens next! I probably would listen to this again, Keely Beresford has a rather nice voice which makes it easy to just sit back and enjoy. But i always find I don't fully absorb everything when someone reads to me (and even when reading myself) I will pick up on something new on a re-read. This is the first time in a long time I have read a book where we have met traditional vampires... aversion to sunlight, crucifixes and holy water and have a predilection for human blood. Add in to the mix a Sherlock-esque main character (Kiera has an amazing ability to pick up on all the little things that most people would not notice) and you have yourself a nifty little mystery story begging to be read. Or in my case listened to as i had the audio version. My only reason for not giving this the full 5 stars was the narrator irked me. There was no discernible difference in the tone of her voice between hushed or shouted speech which made certain scenes difficult to understand immediately... and im not sure if it was again the narrators tone of voice or the way O'Rourke has written the character but Kiera at times seemed incredibly whiny and that irked me because it seemed the complete opposite of everything else about her. O'Rourke does a marvellous job of weaving his tale of mystery and builds the atmosphere without it ever feeling like a spoof of a Hammer Horror. There are some truly awful (for Kiera) scenes and it is something that the vampire/paranormal genre has been lacking most recently. The actual mystery of the story is slowly unveiled and i can guarantee that fairly early on you will have a good idea as to what/who is responsible for what. I can also guarantee that you will be wrong. And you will be wrong with your next idea. There are a few twists and turns in this book that will leave you guessing right to the very last page. This phrase is so over used it is irritating. Editors should have worked harder. Am baling out of this book after 14 chapters. To make matters worse the narrator sounds as bored as I am. 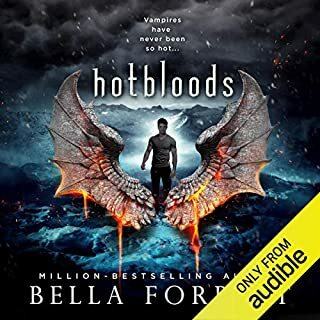 I read this book a while back and when the audible book came out I got it , Keely Beresford was an excellent narrator I’m looking forward to listening to book 2 , I love vampire books .